Kairat Duissenov PARMAN (Кайрат Дуйсенов) is a poet, composer, translator, essayist, Songwriter, journalist and public figure. He is also the founder and president of the World Nations Writers' Union in Kazakhstan (Qazaqstan) He is a member Of Seemed (A Copyright Society of Kazakhstan), the Union of Journalists of the Republic of Kazakhstan, the International Union of Writers ("Beybіtshіlіk alemi - Planet of the world"), the World Union of Poetry in Italy, and the International Writers Association IWA BOGDANI. In 2016, he was promoted Professor of Humanities and was awarded a medal by the United Nations (for serving his community), he was also made an Ambassador of Peace Mission. "AMBASSADOR IN THE WORLD OF THE WORLD UNION OF POETS (CO-GENERAL DIRECTOR OF THE WORLD UNION OF POETS). Dr. Kairat Duissenov Parman had a "Silver Medal for culture of the World Parliament of Literature (W.U.P.)". He was also awarded ‘BOGDANI’ a prize by International Writers Association IWA on 27 November, 2017. Some of his poems have been translated into English, Italian, Spanish, Arabic, Vietnamese, Chinese and Azeri languages. 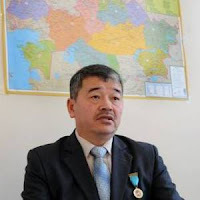 Kairat was born on 7th January, in 1964, at a village called Kokibel, Kazygurt District, in South region Kazakhstan. His Poems have been published in many world anthologies. Awtor to books: “Tugan jer ystyq bәrіnen” (Native Land warmer all), “Serpin – Impulse”. He worked as chairman of the International Union of Writers Association "Beybіtshіlіk alemi - Planet of the World”, from 2010-2014. He was made Director of a publishing house named "Halyqaralyq zhazushylar odagy", in 2011. He has been also a chief editor of the site www.temirqazyq.com, since 2011. On September 18, 2014, he was appointed the President of the World Nation Writers Union and the Chief Editor of World Nations Writers’ Unions Web-sites www.akgo.org and www.wnwu.org. Is it possible to ride forever on the same boat? “It is the happiest moment of my life”. 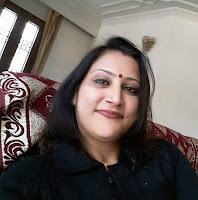 I have been suffering from loneliness since long. I perceive you always like this. What is going on in the era? But by cutting off from others. As my name is Poetry. The world needs «worlds of poems»! The world needs all of us! I wish I could rescue the world with my bright poems like the bright dew! Did you see that, they are fighting! Now, tell me please, what did you see, what do you know?